What is a Clear Sales Message? What is a sales message? Do you have a poor sales message? Why do I need a sales message? If they don’t understand it, they can’t buy it. How does a Clear Sales Message actually increase sales? How do I create a sales message? How to get your emails noticed. How to get your emails opened. How to get your emails acted upon. When you realise that every Email you send is an advert for your business and that every Email you send is an opportunity to sell, you start to see email for what it is. A SELLING TOOL. 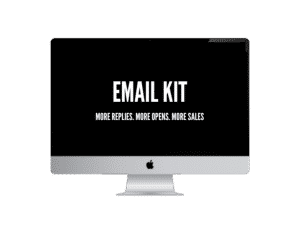 EMAIL KIT is a self-paced online course that gives you everything you need to ensure every email you send is optimised to sell using the CLEAR SALES MESSAGE principles. How to introduce yourself effectively. What to say in your “pitch“. How to be more memorable & engaging. Networking is one of the most cost-effective ways to find new business, but there’s a problem: Just what do you say when you network? From introducing yourself to the dreaded “pitch” section, knowing what to say can make the difference between networking and “not working”. 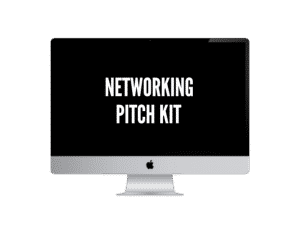 NETWORKING PITCH KIT is a self-paced online course that gives you everything you need to ensure every interaction you have at a networking event is optimised to sell using the CLEAR SALES MESSAGE principles.